New Tutorial from Gritty Jane! My family and I lived in Connecticut for 8 years but moved 1 year ago to southern Florida. Absolutely beautiful here and provides so much inspiration for art. The sunsets are gorgeous. Hi everyone! 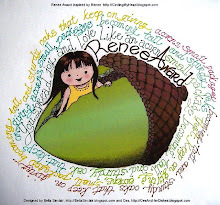 If you'd like to e-mail me, just click on this link: DeniseLynch2@aol.com . Thank you! Check out all the free clip art ! These are 2 adorable clay frogs that my kids created in their art class at school. This is the very first doll I created using cloth and paper clay. 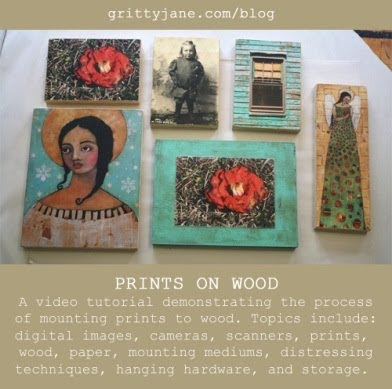 Check out Gritty Jane's Workshops ! I just wanted to do something a little different than my other paintings. A conversation between my son and daughter about cotton candy inspired this painting. I think the colors are fun and the trunk is mesmerizing. This is my Christmas angel who was sold to someone in Hawaii. 70 degree weather sounds lovely right now ! Each of her little scales were decoupaged on individually. If you have found this dusty corner of the internet, hello! 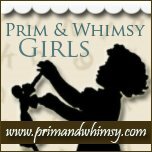 You can find me here: SITE SHOP FACEBOOK PINTEREST INSTAGRAM Thanks!